Port Fourchon, Louisiana is perhaps the most valuable plot of land in the United States. It is estimated that Fourchon supplies the United States with somewhere between 20 and 30% of its energy supply. Port Fourchon’s LOOP (Louisiana Offshore Oil Port) caters to about 90% of all deepwater rigs in the Gulf of Mexico while receiving about 15% of the country’s foreign oil imports. The port’s pipeline distribution connects to over 50% of the nation’s refining capacity, producing over 1.5 million barrels of oil per day. The significance of Fourchon to this country is impossible to overstate. This postage stamp of South Louisiana land is absolutely critical to the infrastructure of the United States. However, back in the late 1800’s, well before the offshore oil and gas boom, Fourchon and the area around it was considered mostly useless, valueless swampland, at least to the local Cajuns that populated the area. 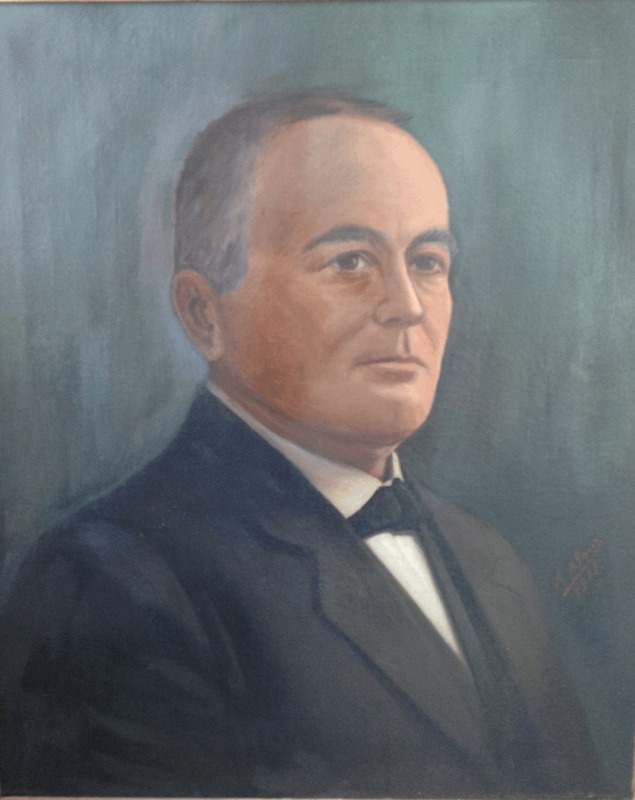 Before his death in March of 1915, Wisner made a donation in August, 1914, of approximately 52,000 acres of his most valuable land. Much of this land is now considered to be Port Fourchon. The land was put into a 100 year trust (that was the maximum amount a trust could be set up for at the time) that was to benefit 4 beneficiaries: The City of New Orleans, Charity Hospital, Tulane University, and The Salvation Army. In respect to the City, he put stipulations on how the money would be spent. Wisner intended the City funds to be spent for the use of beautification of the City, education and recreation for the children of the City, and the health of the citizens of the City. Wisner, like many of us, had a great love for New Orleans. His estate contained about 1 million acres in the state of Louisiana, much of which he left to his wife and children. Unfortunately the attorneys and friends Wisner entrusted to take care of his wife and daughters after his death had other intentions and the family's fortune was lost before the end of 1917. For the next 10 years the family got by as best they could until around 1928 when new attorneys reached out to Mary Jane and suggested that they may be able to revoke the Donation made in 1914. The theory was that because the donation was of community property and the donation was not made for the benefit of the children of the marriage, the donation had to have been signed by both community owners. Since Mary Jane Wisner had not signed the Donation, the attorneys argued it was invalid. After a year long legal battle, the parties reached an agreement on September 17, 1929. The Compromise Agreement changed the ownership of the corpus of the trust to make the Wisner Family owners "in indivision" of 40% and the remainder divided among the original four beneficiaries named by Wisner. On April 1, 1930, the Civil District Court of Orleans Parish issued a final judgment affirming the compromise. The Compromise Agreement also provided that an Advisory Committee oversee the Donation called the Edward Wisner Donation Advisory Committee. This committee’s members would be comprised of the Mayor of New Orleans (or a mayoral appointee) and a representative from each of the remaining four trustees chosen at the discretion of each entity. According to the Compromise Agreement, the percentage of money received by the city, annually, from the trust can be spent at the Mayor’s discretion provided it falls within the stipulations set forth by Edward Wisner when the trust was created. The seated mayor must first get the approval and consent of the Edward Wisner Donation Advisory Committee before the money is spent, in order to ensure that it is being used in a way that meets the stipulations set forth by Wisner. Ok...that’s the background and basics of the Wisner Trust. While the trust did not generate an exorbitant amount of money (close to nothing) in the early stages, the Gulf of Mexico oil and gas boom combined with the development of Port Fourchon has turned the land and the subsequent trust into a financial windfall. The bulk of the revenues are generated by industrial leases followed by royalties and rents from oil and gas companies. Also, other funds are generated from various rents and leases including campsites and fishing clubs. Through November, 2012, the annual income generated by the property amounted to $7,601,615.96. That number is expected to continue to grow if the land remains parceled in its current state. Historically, the trust has run pretty smoothly. There were some minor disputes between former mayors and the Advisory Committee on how the City’s portion of the money could be spent, the most notable being a battle between former mayor, Moon Landrieu, and the Advisory Committee. Moon tried to buy some garbage trucks for the city with the funds in the 70’s, which did not qualify as a valid expenditure under the bylaws of the trust. The Advisory Committee hence filed suit and shut him down. All and all, the fund has run pretty smoothly over the years as it continued to grow and has become a life-giving source of revenue for many arts and cultural entities around the city. Among them, the New Orleans Museum of Art, the New Orleans Ballet Association, the Louisiana Philharmonic Orchestra, Marsalis Center for Music, the New Orleans Opera Association, Louisiana Children’s Musuem, The Preservation Resource Center and various other non-profit entities that focus on culture, education and the arts. Since Mitch Landrieu took office there have been multiple battles arising between the heirs of the land and the Landrieu administration that have led to the heirs filing a lawsuit to remove the mayor from his position as a trustee. Aside from the back room politics used to take control of the votes on the board, the lawsuit claims the mayor misappropriated over 2.4 million dollars in grant money without obtaining the required consent of the Advisory Committee. With the 2014 expiration date of the trust looming, the Landrieu administration seems to have launched an all out assault on the Advisory Committee in an effort to gain total control of the fund, even going so far as to attempt what could be considered a “hostile takeover” of the Committee. Within the past year, two of the Advisory Committee members were curiously replaced by their sponsoring institutions, Tulane and LSU. Both these new appointees to the committee have shown much more sympathy towards the mayor’s agenda in their voting record and seem to be falling in lockstep with Mayor Landrieu’s appointee to the board, Michael Sherman. In 2010, Landrieu halted all existing payments from the trust. Even though the money from the trust is never co-mingled with city funds (it is deposited in an account called the Wisner Lands Trust Proceeds Account ), Landrieu has asserted that the money coming into the city is “the city’s money” and should be put into the general fund thereby overriding the need for the Advisory Committee to approve how it is spent. In 2011, the mayor went so far as to create his own, separate, advisory committee to oversee the City’s portion of the proceeds. The goose gets cooked and carved up? City officials have always gazed with lustful eyes upon the Wisner funds with some even publicly stating that the city will take the whole cake when the trust ends because the seated mayor is the trustee. For all of Gusman’s bravado, the original trust agreement states that each of the five individual beneficiaries are owners of the land “in indivision”. That means that when the trust ends, if there is a battle among the beneficiaries and they go to court, the interest in the land could be divided according to each individual beneficiary’s interest in the land. This scenario could be catastrophic to the trust as a whole, and to the many city entities that rely on the money the trust generates. I will discuss this scenario in a later post but understand that the current administration is under the assumption that the city will take over the entire trust and land in 2014....by hook or crook. Or at the very least they will take over their 34.8% interest in the trust without having to meet the stipulations of the Advisory Committee on how the money should be spent. The land could even be carved up and sold part and parcel. If this happens it would create a large initial windfall for the City of New Orleans and its seated mayor, as well as those who purchase the land....a political win/win scenario. Essentially, the goose that laid the golden egg could get carved up and consumed by guests who are lucky enough to be sitting at the dinner table. However, the immediate gains would be a catastrophic loss in the long run when taking into consideration the ongoing revenue the property would generate for the city. Do we want to enjoy cooked goose for a year? Or eggs for decades? In the meantime, the property is still being damaged by oil from the BP spill. To this day, oil mats are steadily bombarding this fragile coastal area and the damage will continue to mount over decades. I actually had the opportunity to see some of the damage on the property, firsthand, back in 2010 and it was heartbreaking to say the least. We watched dolphins surfacing in areas that were heavily oiled and it was clear that this problem was not going away anytime soon. I will address the misappropriation issue in an subsequent post but the first issue I want to address (in Part II) is what I believe to be the most egregious...the actions by the City to remove the Wisner Trust’s previous council, Joel Waltzer and Robert Wiygul, in the lawsuit against BP for damages from the 2010 oil spill. The politics and subterfuge of this matter are complicated but the implications that could arise are massive. Now that I’ve given you a basic background of the Wisner Trust, the Advisory Committee, and the City of New Orleans stake in it....stay tuned fellow zombies....we’re about to start digging in Part II. What a great read and keep us posted. Your work is powerful. And you aren't resting on your laurels, are you? Just as some of the work you did years ago is being reread because of how fresh and insightful many of the connections you made still are, you are doing new work. The bequests to Charity Hospital and to the Salvation Army seem to demonstrate that the intention of the benefactor was to provide support and assistance to the most vulnerable members of society, by meeting their most desperate immediate daily needs for food, shelter, and medical care, within a social context that respected them as spiritual beings. The bequests to the arts recognize that one cannot live by bread alone. The arts helps us to express both our humanity and our spirituality in complex, interconnected ways. The founder of the trust seemed to have a clear vision about what he wanted to protect, nurture, and cherish. Garbage trucks don't fit this picture. The trust's founder was thinking smaller (the Sally Ann giving footcare to an individual homeless man), and bigger, supporting New Orleans as one of the cultural capitals of the world. The spiritual dignity of the individual human life, and of New Orleans as a human community, was well honored by this man. If the trust is going to be reconsidered, keeping this man's fine intentions at the heart of the new distribution of his monies is important. The Port of Fourchon and the LOOP are two separate entities that serve two completely different types of vessels. Fourchon serves the service companies. Chouest, Tidewater, Bourbon, etc. own a fleet of ships. These ships bring supplies (food, water, fuel, drilling mud, etc.) & crew back and forth from production platforms and drilling rigs in the Gulf of Mexico. The service boats are usually high speed, high horsepower, and many are equipped with dynamic positioning so they can keep the same position off a rig or platform while cranes hoist equipment on and off. The service boats almost never displace more than 10,000 tons. You sort of mixed up the two in the beginning of your post. ...."Within the past year, two of the Advisory Committee members were curiously replaced by their sponsoring institutions, Tulane and LSU"
Who are the present Advisory Committee members besides half moon/Sapir crony Mike Sherman? Just spitballing here but how big of a windfall would a one-time sell off of all the land generate for the city? And how tempting would it be to apply it toward something like say this. On the members of the Advisory Committee, I will spell all that out in Part II. Jeffrey, I've heard guestimations that the total land could be around 600 to 800 million. That's not an official number, I just heard someone throw it out. I doubt that it would go towards the consent decree, I'm betting it would towards more politically advantageous ventures. Who has 600 to 800 million dollars hanging around? The Chinese? BP? Some random gazillionaire who made a lot of money in the bank bailouts and the foreclosures? Someone please pinch me; I keep thinking of the Enclosure Acts in Britain and the politics and social history of the Highland Clearances. The land most likely woudn't be purchased in total, it would be carved up....that's my guess. When does Part II come out? Wow! Thank you Jason! Although I've tried before, I never quite understood the whole Wisner / city relationship and this is clearly a well researched piece that lays it out in one place. I look forward to sharing this with others and reading upcoming pieces. It pays to have an educated electorate/constituency so I will donate to AZ to keep this kind of information coming! Thanks! Thank you! And thanks for the donation! Anon, will publish when it's ready....will be soon. Is Tulane in cahoots with the mayor? Might that be a reference to the Interim Zoning District or something else? Also my earlier comment about Fourchon vs. the LOOP was a detail. Overall fantastic job. The IZD did disappear rather quickly. Rumor is Mitch has press conference tomorrow. where has the Charity money been going since K? Same place as before, the Charity Hospital Trust fund. Exactly...there isn't anything shady going on with the Charity portion of the Wisner fund. Overall LSUHC is receiving the money and they are still a public hospital...at least for now. The bigger question is what happens to the money when LSUHC becomes a private entity this summer. This is quite concerning when the mayor or his flunkies act in a manner that appears, at least on its face, as being contrary to the terms of the legal judgment. Attorneys should know better and act better. Since Charity no longer exists WHO is sitting in that seat and who anointed them???? Is this the LSU seat now being referend to? How did Charity turn into LSU?? The money has always first gone to LSUHC, who oversaw Charity. There isn't any scandal going on with funds going to LSUHC, I just want to make that clear. The scandal with LSUHC was the abrupt removal of their committee member to replace them with a new committee member that is sympathetic to the mayor's agenda....that is all detailed in Part II. Have you dug into the past of that new LSU rep? He seems to have had numerous ties with Mr. Landrieu. Funny how you lose a rep and suddenly your friend gets the job. Ron Gardner - someone should look that guy up. Yes...I am aware of Gardner's relationship with Landrieu. I appreciate you guys pointing out all the myriad subtext issues to the story. I can't address everything in the posts or I'll end up with 10,000 word mini-novel. But the comment section is the place to add on this info.